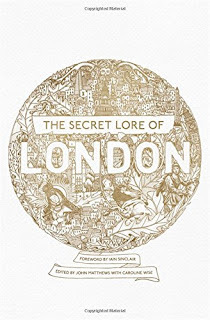 The Secret Lore of London is a guide to the legends, including a discussion of their importance as part of the oral tradition of Britain, combining Prehistoric, Celtic, Arthurian, Roman, Saxon and Norman levels - each of which has contributed to the many-layered life of the city. The result is a wide ranging and wholly fascinating book, with wide sales application possible. A series of appendixes will include William Stukley's extraordinary document The Brill, which relates to the ancient prehistoric sites around the area of present day St. Pancras, and excerpts from some of the best known 19th and early 20th century works on Legendary London by Lewis Spence and Harold Bayley. This book has the most amazing cover; I see something new in it every time I look at it and it's a miracle that I managed to tear my eyes away to actually read the book. It's an absolutely fascinating account of London's history, teaching me things I didn't know and reminding me of things I had forgotten. The Secret Lore of London is told in three parts; The Legendary City; A Guide to the Sites; and Stories from London's past. 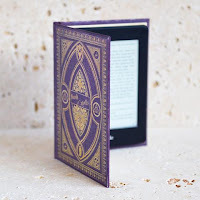 As with all non-fiction books there are some chapters that are more interesting than others, mainly due to the reader's personal preferences. I enjoy reading Egyptian and Roman history so I was fascinated by the chapters detailing London's Roman past and I'm absolutely kicking myself that I'd never noticed the statue of Sekhmet standing guard over the entrance to Sotheby's on Bond Street. Even more fascinating is that it is one of a pair of statues that came to London in the 1830's to be sold at auction. The one above the doorway of Sotheby's was sold but not collected, the other is part of London legend and apparently resides at the bottom of the Thames after falling (or being pushed) from Waterloo Bridge. There really is something for everyone interested in history and legends in The Secret Lore of London. The guide to the sites is invaluable for London residents and visitors alike, in fact anyone with a keen interest in London and British history. The chapters are written by various authors allowing access to the knowledge base of each author's specialism. Some chapters were of course more interesting than others to me, but each chapter managed to hold my interest and I finished the book a lot more knowledgeable about British history than when I started. Filled with fascinating facts and captivating legends, there is something for everyone in The Secret Lore of London. Whether you're interested in Roman, Saxon, or even Arthurian history you are sure to find something of value within the pages of this glorious book. I received this book from the publisher, Coronet, via Bookbridgr, in exchange for an honest review.